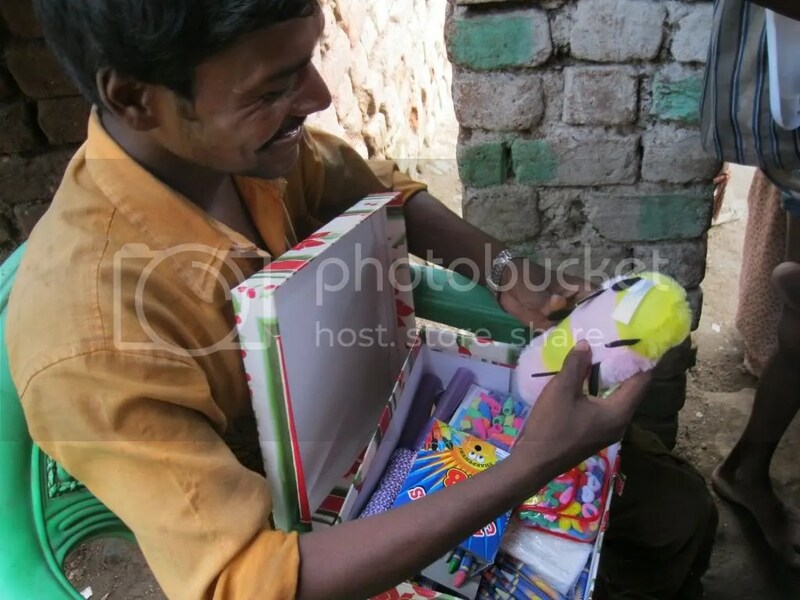 Every year we as an organization fund the “purchase” of the Samaritan Purse Shoeboxes. I know—we should not have to pay for them, but this is India and we do. Anyway, it is quite a process of distribution FUN. We order and pay for them in October and then WAIT—WAIT. 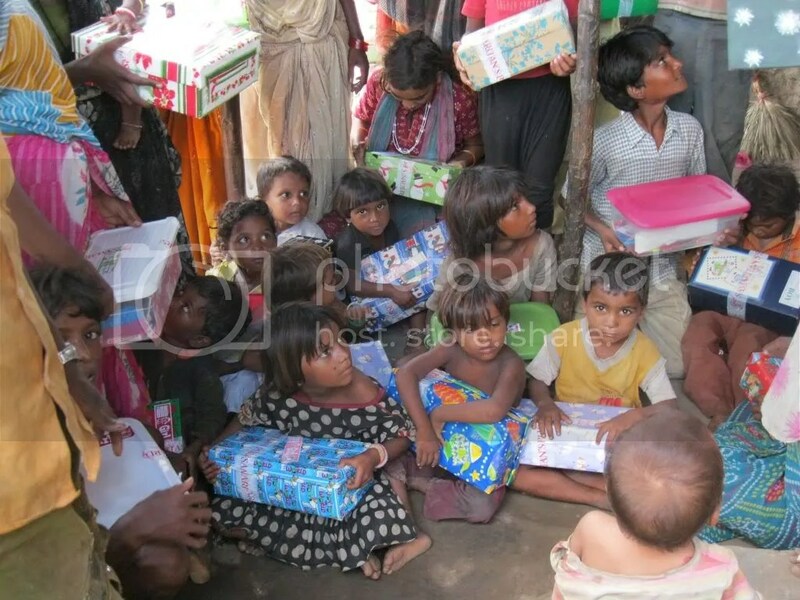 Finally, we are thankful to report that the long awaited Christmas Gifts finally reached safely to Nagpur and the celebration of Christmas in September began. Most all of our churches and outreach ministries receive some of the boxes to give away. I really don’t have words to express my joy when seeing these pictures of the poor village children and parents receiving the gift boxes. 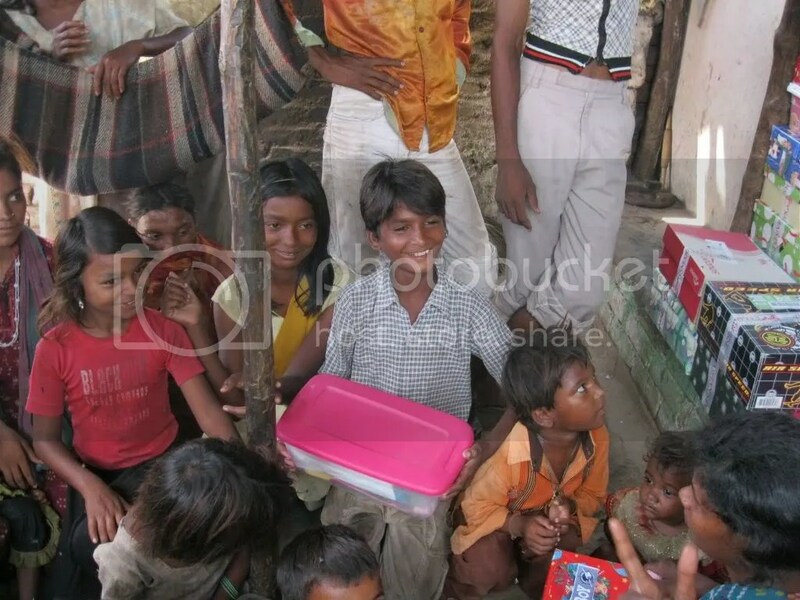 How I wish I could have been in every village as the boxes were given away. 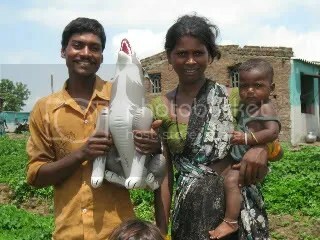 It seems that the parents were more excited than the children upon receiving such a wonderful present. I was told that along with the children many parents joyfully ate “chock lets” and sweets. Pencils, sharpeners, white socks, small towels, pens, small toys and candy may not seem like much to us but, are very precious to these village children. 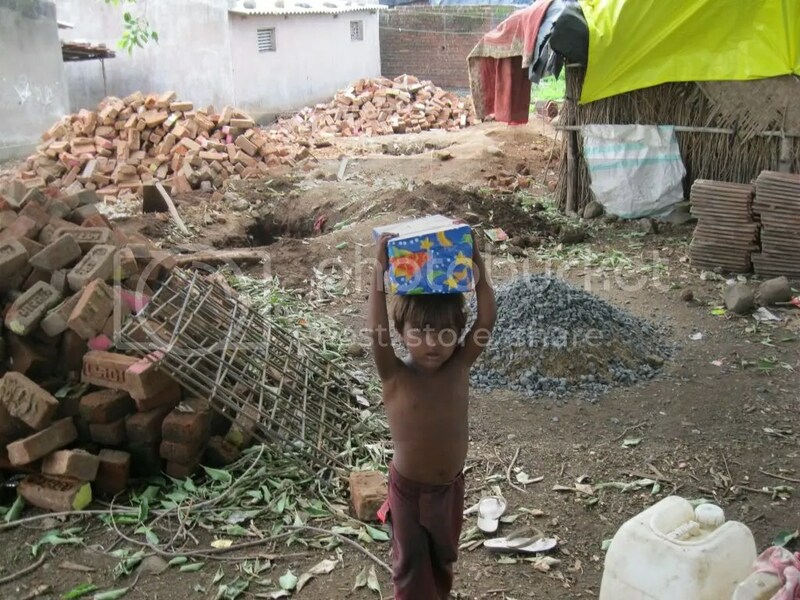 Most of the parents are not able to buy these things because of their tremendous poverty. We really want thank all those who partnered with us to send these treasured gifts, even if it happens in September. May our God bless you for bringing a smile to these poor faces and helping this wonderful work for the downtrodden village children in India. Thank you very much for your wise investment for the glory of God. Because of the outreach like the Shoeboxes our people have recently established two new Sunday School classes in outlying villages.